Advance to the next level with one of our career programmes that will prepare you for a competitive workforce or matriculation to a UCC degree. As the Director and the person responsible for developing the University of the Commonwealth Caribbean Academy (UCCA), the Technical Vocational Education and Training (TVET) division of the University of the Commonwealth Caribbean (UCC), It gives me great pleasure to welcome you. We are glad you are here. As a member of the UCCA family, your academic success, personal and professional development are our priorities. UCCA is committed to its five core values that drive the decision making on a daily basis: Education, Students, Faculty & Staff, Community Development and Environmental Sustainability. We are inspired to make a difference, and are committed to excellence in teaching, learning, development of grants, scholarships and service opportunities that are designed to meet the needs of our students and their communities. Our programmes are relevant to today’s economy and job market and are taught by a dedicated group of instructors in a dynamic, safe and supportive learning environment that guarantees equality of rights and access. Your time spent at UCCA will be one of the most challenging and demanding year of your life. It will also be the most productive, enlightening and rewarding time. We encourage our students to become active participants in campus life by getting involved in student activities and governance. 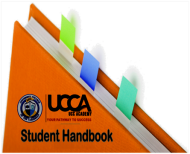 The UCCA Student Handbook is available to you, it will help you navigate your UCCA experience successfully. 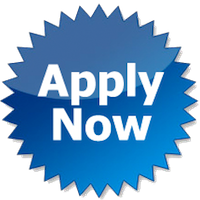 As you expand your mind and develop your individual skills and talents, we trust you will do your utmost to actualize your dream and seize the opportunity we offer for you to build and lead a truly successful life for yourself. Again, welcome to UCCA. We are proud that you chose us. Most importantly, we are committed to do our part to ensure that UCCA is the right choice for you. On behalf of the UCCA team , I extend our best wishes for your success.